A vaccine against meningitis that was developed and subsequently abandoned in Norway, was revived and exported to New Zealand, where it was used on over a million kids in a highly experimental campaign, says a recent Norwegian TV report. At the time of the New Zealand mass vaccination experiment, I reported in several articles about how important facts were disregarded and how statistics were used in a very loose way by the Authorities in New Zealand, to justify the campaign. No doubt the very 'cavalier' attitude about the dangers inherent in vaccinations which shows up in this case, is a result of the almost religious adherence of health authorities to the vacccine dogma: Injecting a bacterium or virus and some toxic adjuvant substances into the bodies of kids is harmless and will protect them from illness. The dogma disregards other, serious effects of vaccinations that tend to appear later in life. Autism, which has become an epidemic of the vaccinated, is only one example. Allergies and other immune system malfunctions, virtually unknown before vaccinations, are increasingly common in this highly medicated world of ours. The Norwegian documentary, 'The Vaccine Experiment - In The Service of Good' has sparked an outcry against the vaccine trial in Norway, according to Ron Law, a Risk & Policy Analyst from New Zealand. The film features leading medical experts in Norway who heavily criticize the Norwegian Institute of Public Health for withholding information on the dangers of the vaccine and the fact that those who did get sick had to fight for years to get compensation. "The Norwegian situation is so similar to New Zealand's it is scary," says Ron Law. As Norwegian authorities were paying compensation to vaccine victims, the same vaccine was exported to New Zealand and used on small kids. To say it nice, they enlisted hundreds of thousands of small kids into a gigantic experiment, says Jan Helge Solbakk, professor in medical ethics. 1988 started the largest experiment ever conducted on the Norwegian population. 180,000 school teenagers were used as test subjects in the largest Norwegian vaccine trial ever. It lasted from 1988 to 1991. The Norwegian Institute for Public Health was testing its new vaccine against meningococcus b, a dangerous bacterium that kills 30 people every year in Norway. The information brochure given to teenagers states: "it is unlikely to expect serious complications", while the information submitted to the Norwegian Parliament states: "serious side effects can not be excluded" during the experiment. 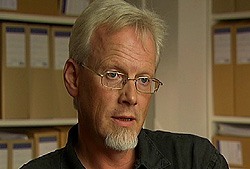 Jan Helge Solbakk, professor of medical ethics, was working on the ethical side of the trial. He claims: "project leaders knew that trial subjects may suffer serious complications during the trial, statistically speaking." "Trial subjects were not properly informed about the possibility of serious side effects during the trial. We encouraged the project leaders, during an open meeting, to do it in a better way, informative way" says Solbakk to Dokument 2 TV. 512 side effects were reported during the vaccine trial. 14 were considered serious. 5 school kids developed serious neurological diseases. "Some time after the experiment was over, I came to a conclusion that there were serious side effects to this vaccine. And, the number was relatively high. I was worried. At the same time, I felt that project leaders were trying to tone down the danger of vaccine," said Guldberg. Results of the vaccine trial were compiled 1991. The vaccine was providing protection in 57% of cases. That was not enough to add it to the Norwegian vaccination program. As the meningococcus b epidemic was dying out, the vaccine was never used in Norway the way it was meant to be. After the request from the World Health Organization (WHO), the vaccine was exported to New Zealand, during 2001. Using the same technology and the same methodology from the 1980s, researchers from the Norwegian Institute of Public Health tailored a new vaccine for New Zealand. The multinational pharmaceutical company Chiron was awarded rights to mass produce the vaccine. Usually, a vaccine is supposed to pass different tests before it is approved for mass use on the population. But, this vaccine was tested in record time. Phase III trials were completely dropped. Rare side effects are often not discovered before the phase III trials. Phase III trials are randomized, placebo controlled trials. Instead of testing this new vaccine through a new phase III trial, safety data and affectivity data were just taken from the Norwegian vaccine and assumed valid for the New Zealand vaccine. Because safety data of this vaccine were incomplete, the vaccine was not officially approved in New Zealand. Instead, mass vaccination of 1.1 million New Zealand kids started with a temporary approval. In New Zealand, the Norwegian vaccine was used as a guaranty that the New Zealand vaccine is safe and effective. It was the Norwegian Institute of Public Health that was the guarantor. "First: Norwegian vaccine was not safe! Second, it is a serious overstatement to say that vaccine is effective. Third: it is against international regulations and against research ethics to start to vaccinate small children on New Zealand with a vaccine that was tested on a different group of people, Norwegian school kids. To say it nice, they enlisted hundreds of thousands of small kids into a gigantic experiment," says Jan Helge Solbakk, professor in medical ethics. Quote: "Some time after the experiment was over, I came to the conclusion that there were serious side effects to this vaccine. And, the number was relatively high. I was worried. At the same time, I felt that project leaders were trying to tone down the danger of the vaccine." The program has been split into four videos and can be accessed here (link unfortunately no longer active). I think that many New Zealand parents will be grateful to you for airing the Meningitis program "On Sunday" last night. It enables us all to obtain a more balanced picture of the implications involved in subjecting our children to what appears to be a highly contentious medical experiment. evil, speak no evil and hear no evil" as far as the meningitis vaccine is concerned. Their cohort in Norway appears to be just as resolute as they are. They are guilty of the very misdemeanors that they are accusing all the other participants in the program of, namely emotionalism and incompetence. Contrary to what they are implying, the people of this country are able to think for themselves and do not need to be frantically compelled to accept their advice. There was nothing scientific about their arguments. The ladies vilification of Ron Law was another example of their incompetence. It was not called for. Ron's unemotional and relevant, factual observations backed up the comments made by the three Norwegian professors in the program and families over there. To rely on and be reminded of these ladies of oft quoted official status to deride Ron Law's qualifications detracts from the real issues at hand and further illustrates their own inability to be scientifically competent by confronting the core issues. The fact that Dr Jane O'Hallahan blatantly lied on the programme was obvious for all to see. If she lied about factual information such as receiving a letter, how can she be trusted when expressing opinion? The big mistake of all these "experts" promoting the continued use of the vaccine is their inability and determination not to listen to what the sufferers are saying from this botched vaccination exercise. The wise old Norwegian professor was observing just that. He had witnessed some of the results of the vaccine program and the suffering in some children it had caused. He went so far as to admit that the vaccine was seriously flawed and that he would not promote its use. I, and many of your listeners I am sure have come to the same conclusion. I am certain I would rather listen to him than these three highly emotional local ladies and their adherents. What one can also gather from the statements made by local medical professionals is that they are also not listening to the obvious signs and complaints of parents in this country. Who is better equipped than parents to know their own children and have witnessed first hand the deterioration in their health after exposure to this vaccine? One is not blinded by a medical degree for the perfectly obvious. Are not many medical proponents instead of observing what the vaccine is doing, rather telling the vaccine and all concerned what to do instead, and wishing the problems to go away? In real life things do not happen like that. Just to claim that there has been no evidence that the vaccine is responsible for the number of symptoms that have arisen in children who have become ill after exposure, is not an argument, especially in the light of the fact that the vaccine has never been adequately tested and neither have all the many cases reported by parents been adequately investigated either. The essence of the logic of a good scientist is not to tell the experiment how to behave, but to listen to and investigate the results of the experiment. If anything else is practiced one can only relate it to as being akin to witchcraft and not science. The local proponents of this giant experiment have been doing just that too, telling the experiment what they wanted and ignoring the dreadful results, using the excuse that the symptoms produced were not relevant because they could not be proved. What utter stupidity! This was a fantastically refreshing report. I only wish it had been aired earlier. Extremely interesting and informative, proving that there are still good investigative reporters around. Warnings were made a few years ago about the possibility of a diabetes epidemic emanating from exposure to this vaccine, and this program of yours and time is just confirming that. Let's see more of such reports. Keep up the good work. 18//55 Verbena Rd Birkdale North Shore Auckland. Received by email and posted here as it's relevant to this article - Sepp. Ten Questions to Ask the MoH at today's news conference regarding the Norwegian Meningococcal B Vaccine Documentary. 1. Was the MoH advised about Professor Ola Saugstad's serious concerns about ME cases associated with the Norwegian Meningococcal B Vaccine in 2003? See Ref 1 - email conveying Professor Saugstad's concerns to Dr Pat Tuohy. 2. How can the MoH say that there has been no serious adverse events associated with the MeNZB vaccine when it does not even know how many children were admitted to hospital within 6 weeks of receiving the MeNZB vaccine? 3. Is it good practice for a pharmaceutical corporation researcher to be sent to London to help resolve over 50 regulatory concerns about the MeNZB vaccine, identified by independent assessors? 4. Is it good practice for that same pharmaceutical corporation researcher to participate in the licensing process? 5. 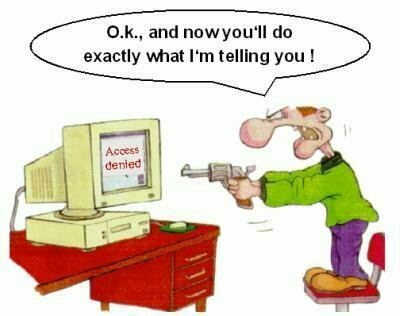 Is it good practice for that same pharmaceutical corporation researcher to be at the hub of the adverse reaction monitoring system design to maintain public confidence in the vaccine? 6. According to the answer to PQ 10321 (2006) there were 689,132 MeNZB vaccinations given to under five year olds at their GPs as at the end of June 2006. According to Feb 2006 update on the MOH's IVMP (Intensive Vaccine Monitoring Programme) almost 7 percent of MeNZB vaccinations resulted in a subsequent visit to their GP for a MeNZB related adverse event. That means that 48,239 under five-year olds had an adverse reaction severe enough to warrant a subsequent visit to their GP. Why has the Ministry of Health failed to make that data public? 7. This morning Chelsea Ferris was once again too sick to go to school. Is her continuing chronic health considered by the Ministry to be caused by a 'rough nurse' or a needle stick injury? Does the MOH deny discussing Chelsea's case at 'high levels' as claimed by her medical practitioner in a letter to ACC? 8. Would more than 1,000 serious adverse events following the MeNZB vaccine have been required to be reported, as outlined in the MOH's MeNZB Safety Monitoring Plan, before the Independent Safety Monitoring Board would have had safety concerns bout the MeNZB vaccine? 9. Is IMAC funded by the MOH and Pharmaceutical companies with the express purpose of promoting vaccination? 10. Was the Meningitis Trust established in part by $600,000 in funds from its UK parent Trust and is the Trust's medical director, Professor Keith Cartwright a recipient of Chiron research funds and is he a consultant to Wyeth, the manufacturer of the Streptococcal Pneumoniae vaccine promoted so actively by the Meningitis Trust? Here is Ed Mitchell's immediate response to my letter. June 6th 2003. Sorry� I had mistyped Professor Saugstad's email address. This should be correct. I've just returned from the European Society for the Prevention and Study of Infant Death (ESPID) in Oslo Norway. While there I talked to Professor Saugstad, who is Professor in Pediatrics at the National Hospital in Oslo. He mentioned to me that New Zealand was buying a meningococcal vaccine from Norway, and that he had major concerns about the vaccine. He'd seen several cases of severe fatigue syndrome following its use, but was having difficulty getting the Norwegian Ministry of Health to take his concerns seriously. I know little about the Ministry's plans re meningococcus, but felt I should bring Professor Saugstad's concern to your notice. Parliamentary Written Question: 14433 (2006). The Ministry of Health does not collect this information. The Ministry of Health has slandered three Norwegian pro-vaccine professors of medicine, including the newly appointed UNESCO Bioethics Chief, Professor Jan Helge Solbakk. Prior to the New Zealand screening of a Norwegian documentary on TV1's Sunday program about the unethical behaviour of the Ministry of Health, the Ministry declared the documentary 'anti-vaccination.' Made by Norway's state TV, the New Zealand MoH claimed it was made by and featured rabid anti-immunization zealots. Professor Guldberg is an esteemed clinical pharmacologist and has served as chairman of the National Committee for Medical Research Ethics in Norway for two periods. He has acted as member of several monitoring committees for clinical trials, including Norway's meningococcal B vaccine phase III trial. Professor Saugstad is considered one of Europe's leading neonatologists. Professor Saugstad raised serious safety concerns about the MeNZB vaccine with New Zealand officials in 2003� those concerns were ignored. Professor Jan Helge Solbakk is an MD, cand. theoil, Dr. philos, Professor of Section for Medical Ethics, University of Oslo, Adjunct Professor, Centre for International Health, University of Bergen. He served as secretary of the National Committee for Medical Research Ethics in Norway when the phase III trial was conducted. Professor Solbakk had attempted to raise concerns about safety and informed consent issues in Norway. In the documentary he expressed very serious concerns about what he called an unethical medical experiment being conducted in New Zealand. Professor Solbakk has declared in writing that neither he, nor his two academic colleagues, Professor Saugstad and Professor Guldberg, are 'anti-immunization' people, as claimed by the Ministry of Health. "On the contrary, we are all three strong defenders of vaccine programs as long as they have gone through rigorous procedures of safety and efficacy assessment, which, unfortunately is not the case with the NZ vaccine,�?? said Jan Helge Solbakk. The Ministry of Health's insult to Professor Solbakk is at odds with his recent appointment as chief of the Bioethics Section at the UNESCO headquarters in Paris. While slandering colleagues is not unheard of in the medical profession, it is extremely unusual and unethical for a government department to mislead the public as to the qualifications and positions of colleagues, especially those held in such high international esteem. The Ministry of Health's actions are further evidence of the need for a formal inquiry into their rude, embarrassing and grossly unethical behavior. They also need to issue a public apology forthwith.